Have you been pondering what you can do to track and advance sustainability efforts in your business? The truth is, you are not alone–many businesses are stuck in a holding pattern not knowing where to start, what to measure, and how to make good business sense of it all. Our aim is to help you get to where you want to be. 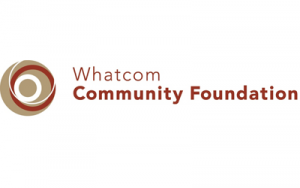 Due to the generous support of the Whatcom Community Foundation and their Community Development Grant, we can do just that! Sustainable Connections is pleased to announce we are accepting applications from businesses in Whatcom County to be a part of this effort to better track, improve, and market sustainable practices. We will be selecting three businesses to receive free sustainability reporting support. We will help guide you through the process from start to finish, culminating with the information you need to produce and promote your good work through a polished and professional report you can share with your customers and other important stakeholders. To be considered please email responses to the above questions to mark@sustainableconnections.org with the above criteria in mind and why your business should selected. Paper applications will not be accepted. Deadline for applications is midnight Thursday, June 15th, 2017. Selections will be announced June 30, 2017. Sustainable Connections is excited to offer this very valuable service to highlight the economic, environmental, and social benefits of a deep dive and commitment to holistic sustainability reporting. We look forward to helping three lucky businesses improve their performance and help lead the way!